Save your cannabis roots! Hemp root has been used as medicine for thousands of years. Here’s why and how you should use it more often. One of the many beautiful things about cannabis is that the entire plant is useable – roots and all. Cannabis root has been used in medicines for thousands of years in salves, teas, and other preparations. Unlike the flowering tops of the plant, cannabis root will not cause a high. However, there may be some good reasons to keep a few root preparations in your medicine cabinet. Here are five reasons to love cannabis roots and how to use them at home. Unfortunately, cannabis roots are the least studied parts of the plant. This is a shame, as humans have relied on hemp root medicines for centuries. Ancient Chinese texts provide some of the earliest records of cannabis root as medicine. The Shennong pên Ts’ao ching, which is dated to 2,700 BCE, recorded the use of hemp root pastes for pain. As suggested by a 1957 paper, cannabis root was boiled along with leaves into a poultice to treat skin abrasions in India. The paper cites that root was used on ailments like rashes and hemorrhoids as a painkiller and a sedative. Additional texts articulate that hemp root was commonly used as a folk medicine for arthritis and joint pain. The juice of the root is… thought to have a beneficial action in retained placenta and post-partum hemorrhage. Concoctions using cannabis seeds and flowers were also used to help the labor process in many cultures throughout the centuries. This includes the vapor of the cannabis plant to ease tensions during a difficult childbirth. Just like flowers and leaves, cannabis roots contain chemical compounds that are expected to have healing properties. Some of these compounds include terpenes, which are the aroma molecules that give the herb such a unique fragrance. Unlike the terpenes found on cannabis flowers, which can have floral and sweet scents, the terpenes found in cannabis root are different. A 2016 review cites evidence that hemp root contains the terpenes friedelin and epifriedelanol. These terpenes are not found in abundance in other parts of the cannabis plant. These compounds are more bitter, deterring potential predators. In the past, pharmaceutical researchers have investigated friedelin for its painkilling and anti-ulcerative properties. Friedelin has also been used as a topical anti-inflammatory in animal models. Additional evidence suggests that the terpene epifriedelanol has potential as an anti-tumor agent. Interestingly, extractions from the Malaysian plant Phyllanthus watsonii successfully halted the growth of colon cancer cells in laboratory models. The extract contained the terpenes friedelin and epifriedelanol, among other compounds. There were also signs of a phenomenon known as apoptosis, which is a fancy term for cell-suicide. Normal cells will undergo apoptosis if they are damaged or diseased. Cancer cells, however, stop responding to signals that tell them to self-destruct. Cannabis root not only contains both friedelin and epifriedelanol, but also contains compounds called pentacyclic triterpene ketones. These fat-soluble molecules have also been found to trigger apoptosis in cancer cells in early laboratory models. Chemical investigations of cannabis roots have shown that they may contain trace amounts (2.0 μg/g) of cannabinoid acids. The plant itself is famous for producing THC, the compound responsible for the psychoactive “high”. However, raw cannabis is not psychoactive. Instead, the plant is coated with the precursors to THC and other compounds. These precursors are cannabinoid acids. Raw cannabinoid acids have been found to be anti-inflammatory, anti-nausea, and potentially anti-cancer. 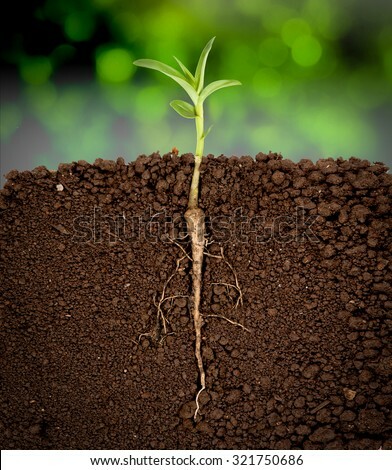 Plant root systems both find and store nutrients that keep the plant healthy and alive. It’s no surprise then that the roots can also contain trace amounts of choline, which is an essential nutrient that has several vital functions in the body. These functions include supporting liver health, nerve health, and brain health. The compound is also vital for the health of cell membranes, which partly determine how well a cell is able to receive chemical messages. However, it’s important to keep in mind that different root samples may contain different nutrients depending on the soil and the microbes within the soil. In terms of vitamins, minerals, and cannabinoid acids, cannabis leaves and flowers hold the greatest amount of nutrients. Cannabis roots can be boiled to create a powerful tea. This tea will be significantly more bitter than tea made with leaves or flowers. Adding a little fat to the tea while brewing (via milk, coconut oil, etc.) may potentially help release some of the fat-soluble terpenes and ketones present in cannabis roots. Though, a plain tea is also thought to be beneficial. One of the most traditional ways to prepare cannabis root is to dry the roots and grind them into a fine powder. This powder can then be used as a supplement added to foods, beverages, or used to fill capsules. Both powdered and boiled cannabis root can be applied directly to the skin for the treatment of rashes, inflammation, pain, and abrasions. Cannabis root can also be mixed with a carrier oil to improve absorption into the skin. Coconut oil and olive oil are two common household oils to consider. 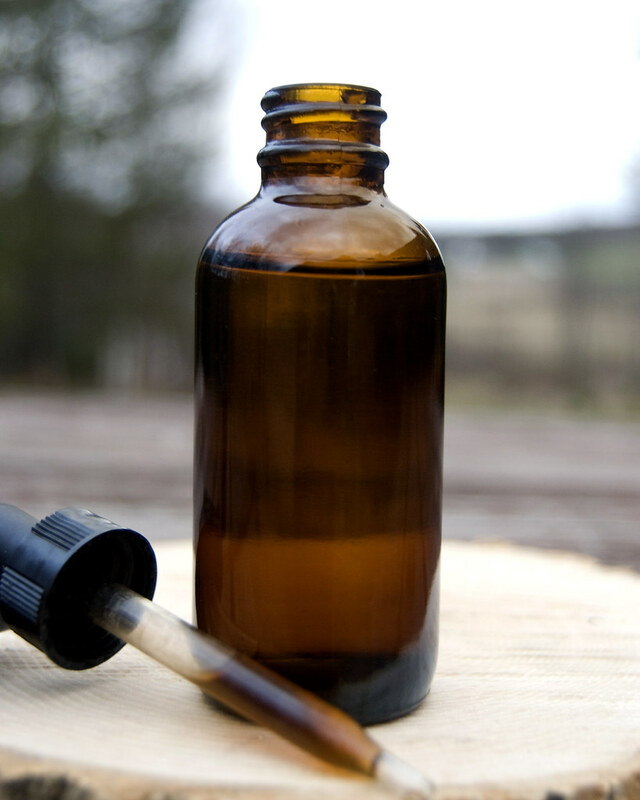 Cannabis root tinctures can be made by slowly simmering cannabis roots for an extended period of time. After several hours in a slow cooker, the roots will create a goop that can be added into the tincture. Alcohol, vegetable glycerine, and apple cider vinegar are three common tincture bases. Though, alcohol is one of the most popular options.